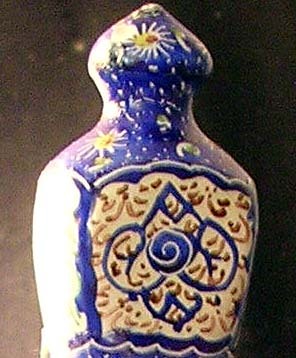 This rosewater bottle, including the stopper, is 21 cm (approx. 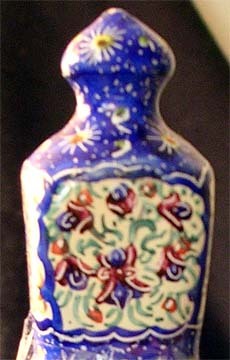 8.25") tall. 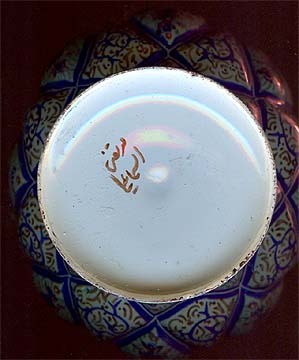 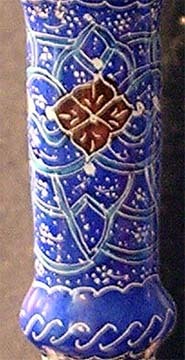 It features an attractive mosaic of styles called esleemee in Persian. 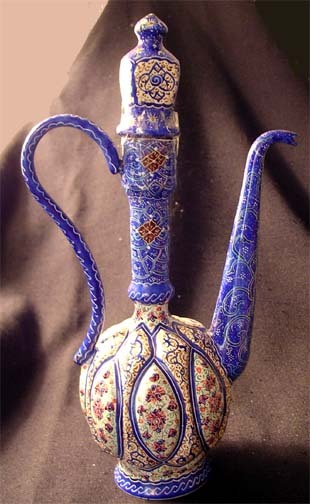 It makes a great decorative accent for your home - or a unique gift!